Muslim persecution of Christian converts. It's no cartoon. 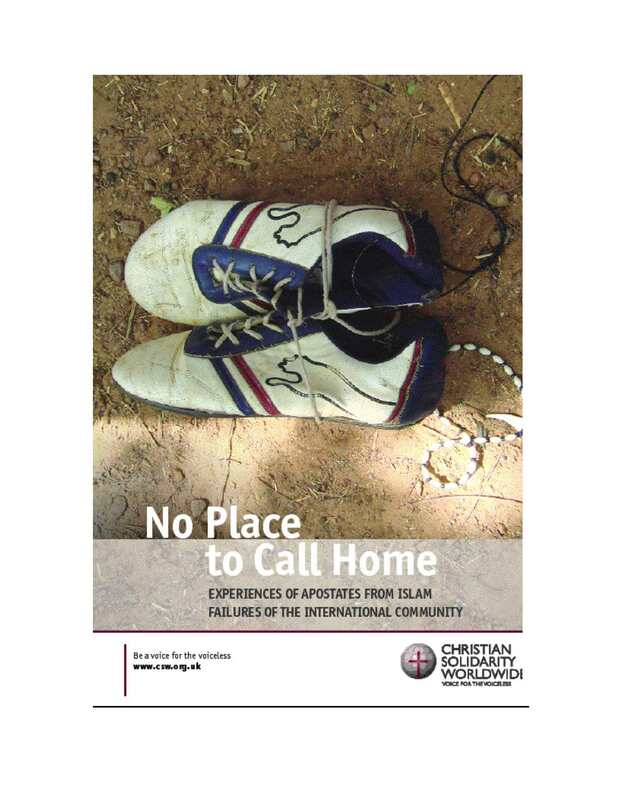 This is the cover of a downloadable book on the persecution of Christian converts from Islam in Muslim countries. It is worth reading. It is just amazing to me that people who claim offense over a cartoon can turn a blind eye, or perhaps in some cases lend a hand, to the inhumane persecution of those who freely walk away from the Muslim faith. I wish the patter introducing the book on the site didn't start with that silliness about how those who don't believe in death for apostasy have a "more faithful interpretation of the Koran" than those who do. Uh-huh. But the phenomenon, of course, is no joke. I note, too, that there are serious penalties even in "moderate" Malaysia, as I noted in my "You can check out any time you like, but you just can't leave" post. Egypt is getting worse all the time. They've taken to retroactively designating people as "Muslim" who have been Christians from early childhood on the grounds that a father or even a grandfather was Muslim who converted and, since he "couldn't" really cease to be Muslim, all his descendants are legally Muslim as well and are committing "apostasy" to continue living as Christians. The salve of any excuse will do, provided the outcome is what they desire. The problem is - they are blind, and the outcome has already been determined.